After Sheng Mou (Chinese, active ca. 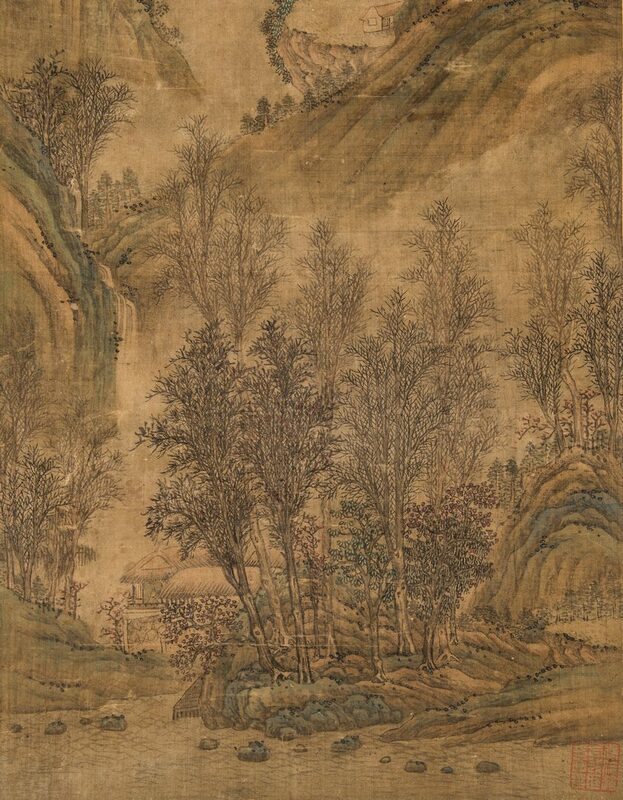 1310-1360) landscape painting, ink and color on silk, signature of Wang Hui (Chinese, 1632-1717). 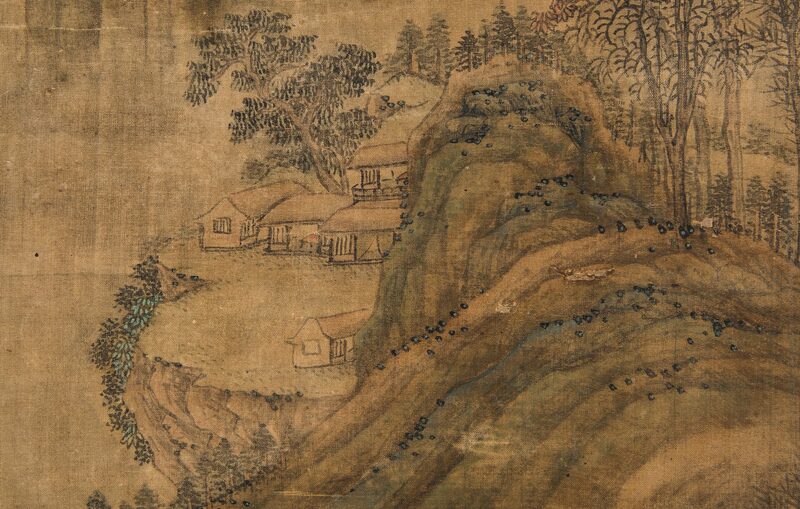 Depicts a house beside a river, surrounded by trees, at the base of a mountain with cascading waterfalls. 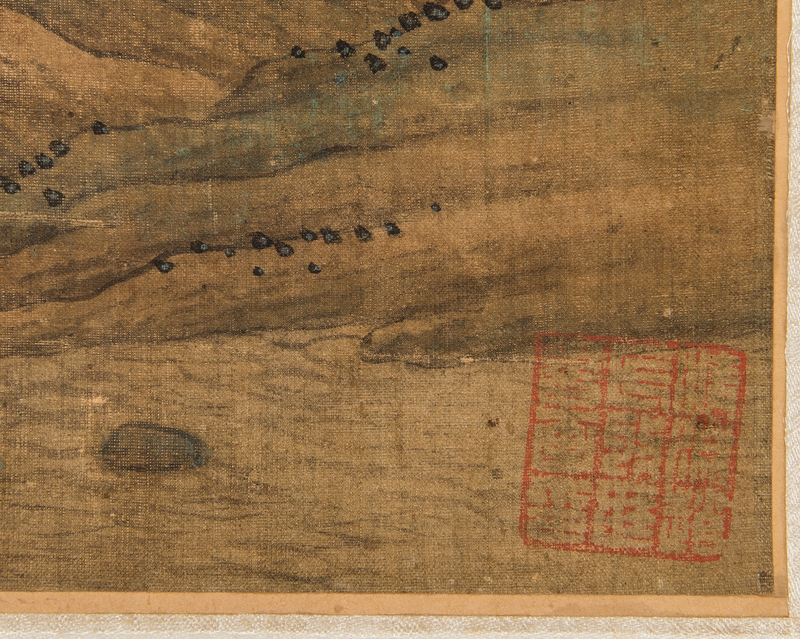 Seal and inscription at top left, additional seal mark lower right. 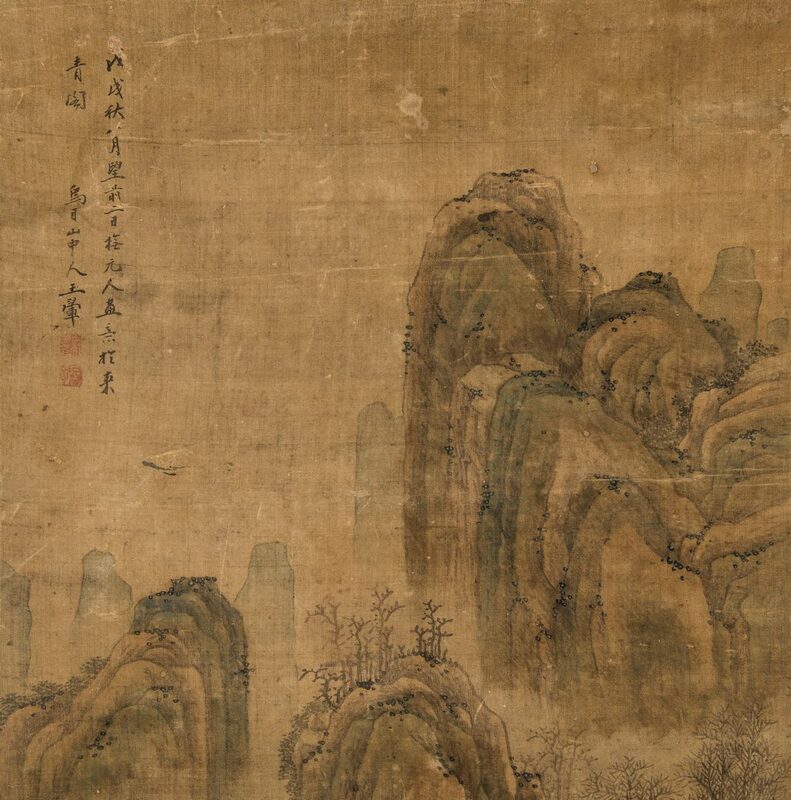 Inscription translated as: "1658, 8th month, 2nd day, in the manner of Sheng Mou of the Yuan Dynasty at Dongqing ge (East Green Hall). 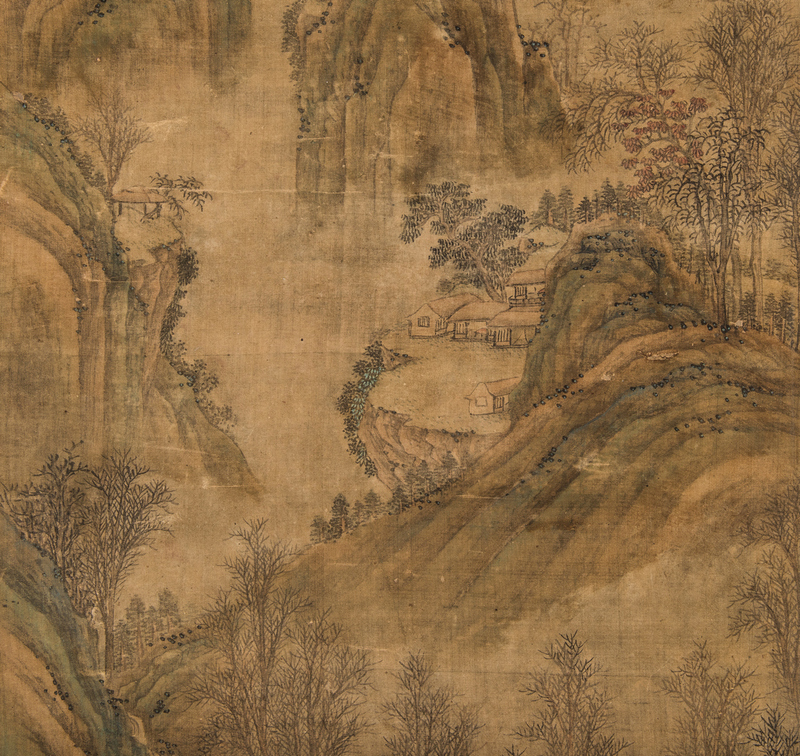 The Man of Wumu Mountain, Wang Hui". 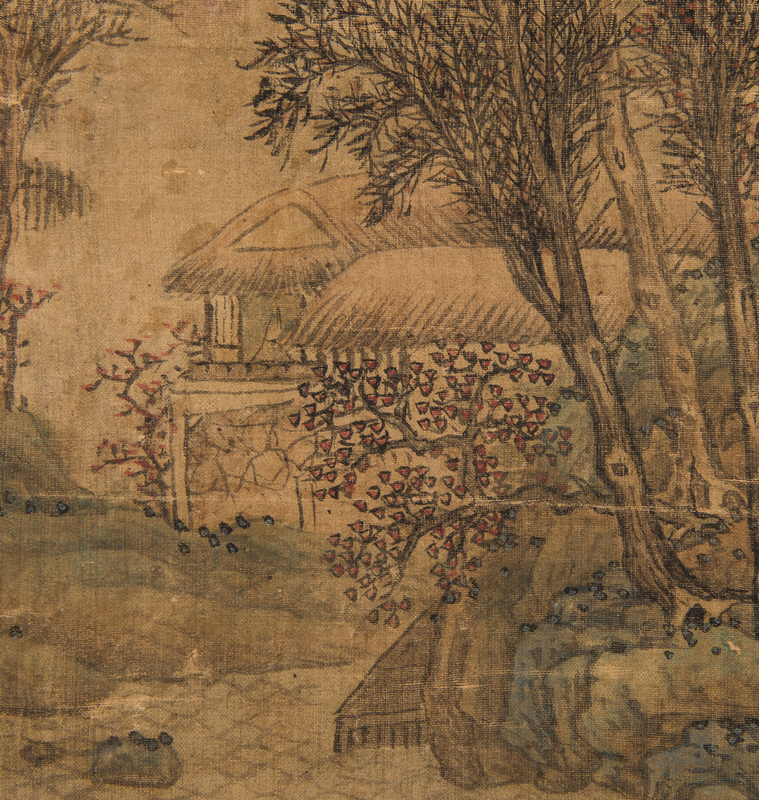 Painting – 39 1/2" H x 14 3/4" W. Scroll – 64 1/2" H x 18 1/2" W. Provenance: Nashville, TN Private Collection. CONDITION: Overall good Condition. Some normal age wear and toning to painting. 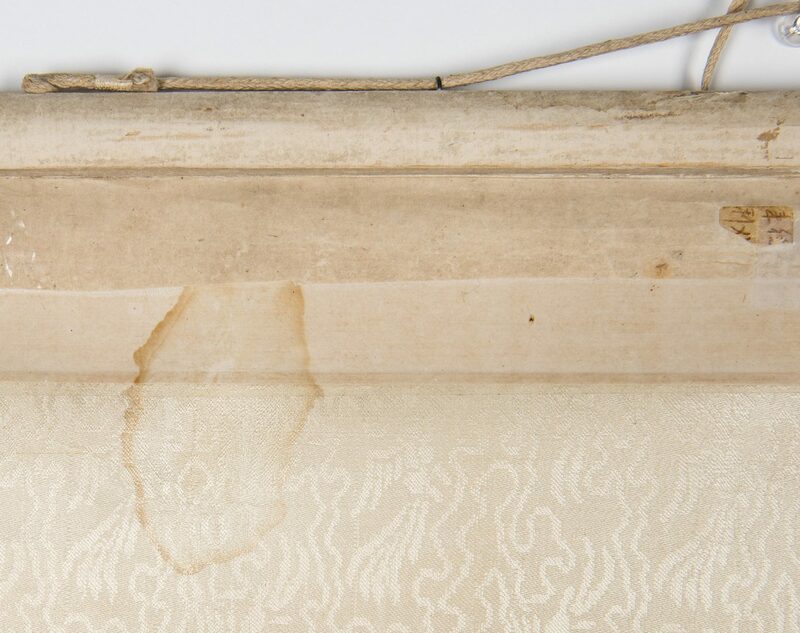 Scroll has five water spots and some foxing on back. Wear and losses to top near ends.